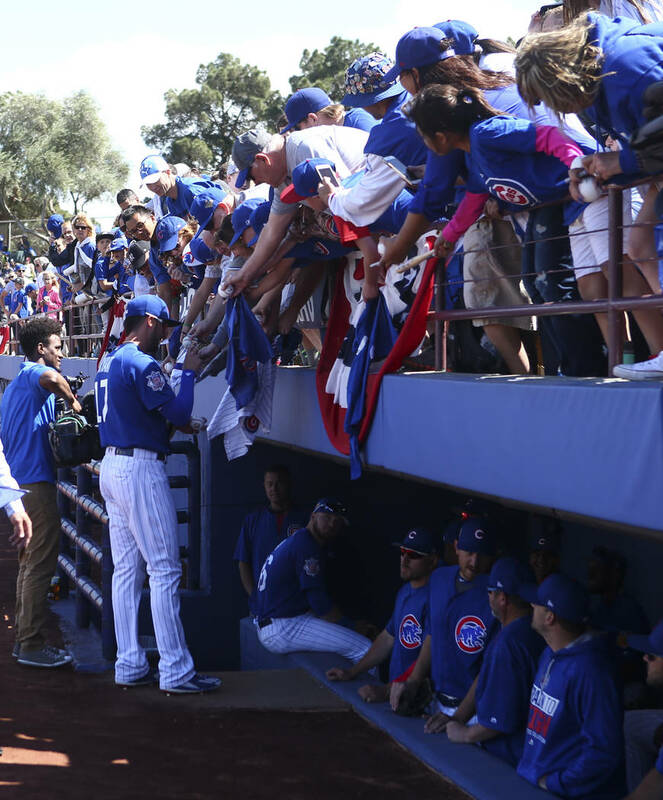 Kris Bryant went 2-for-3 on Saturday eliciting plenty of cheers from a pro-Cubs crowd. 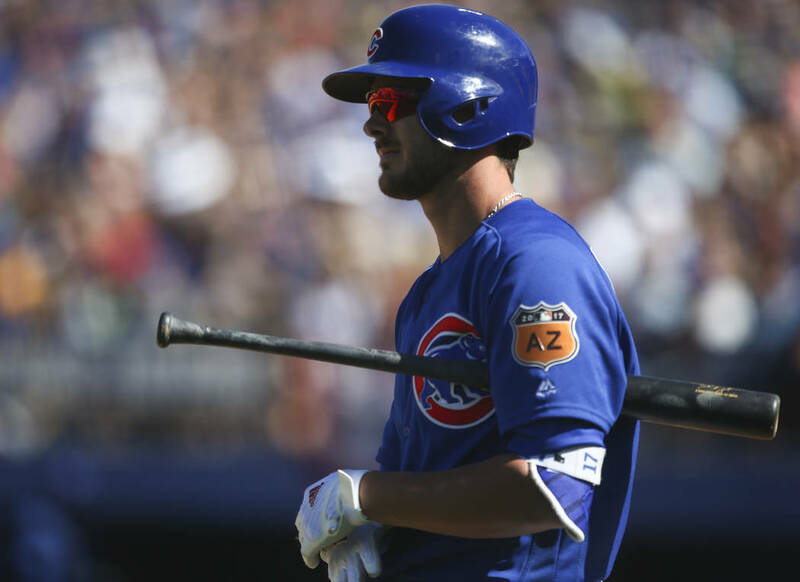 Kris Bryant put on a show for the hometown fans Saturday, eliciting chants of “M-V-P” from the pro-Cubs crowd at Cashman Field. 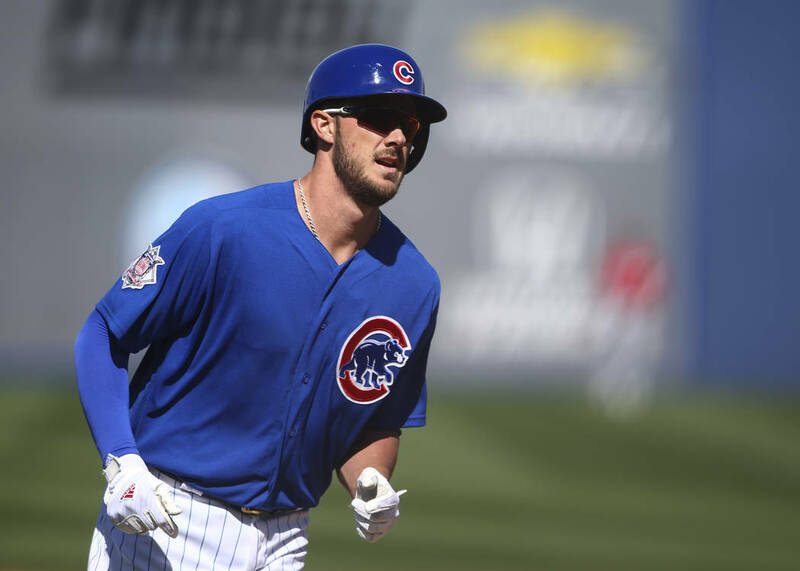 In the first of two Big League Weekend games, the Cubs dispatched the Reds 11-7 thanks in part to a 2-for-3 day by Bryant. 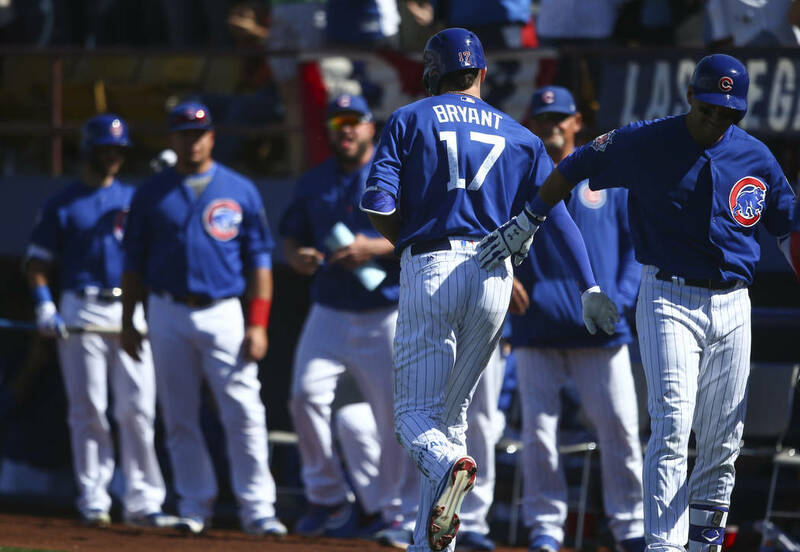 “It’ll be nice to get out here and play in front of the Las Vegas Cubs fans as World Series champions,” Bryant said before the game. 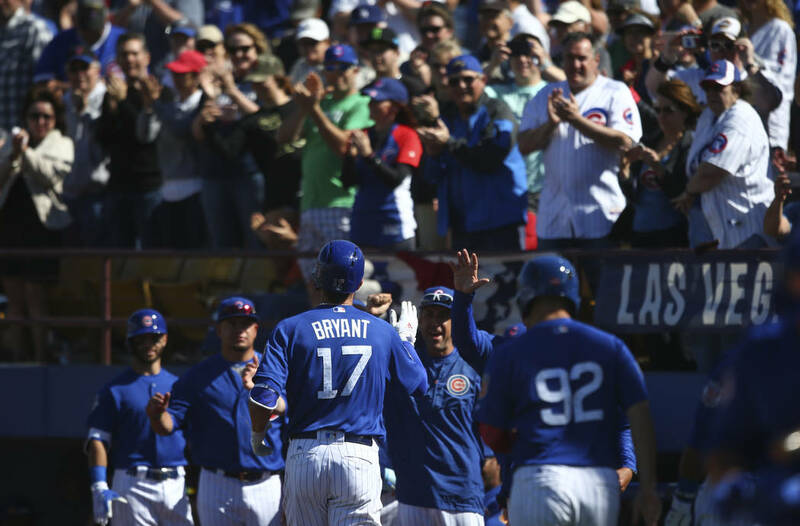 And Bryant delivered for them, many of whom were sporting his jersey. 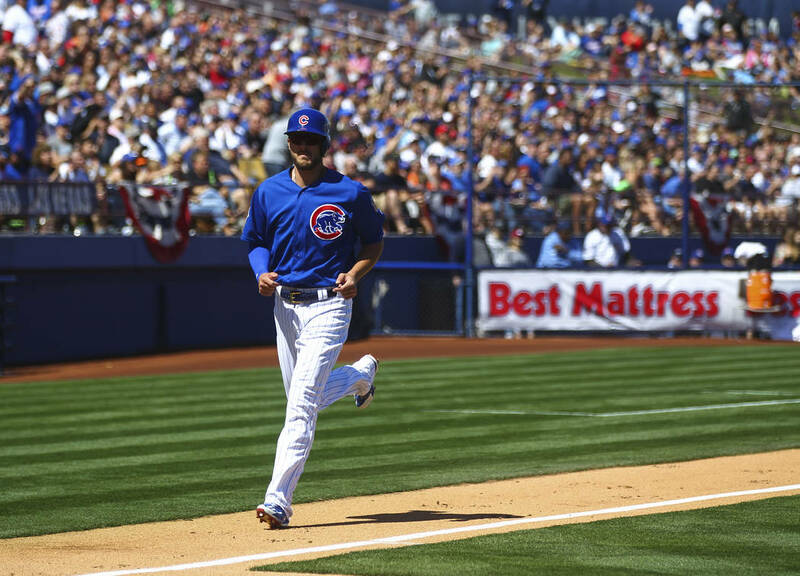 Bryant, who started at first base, doubled and scored a run in the first inning. 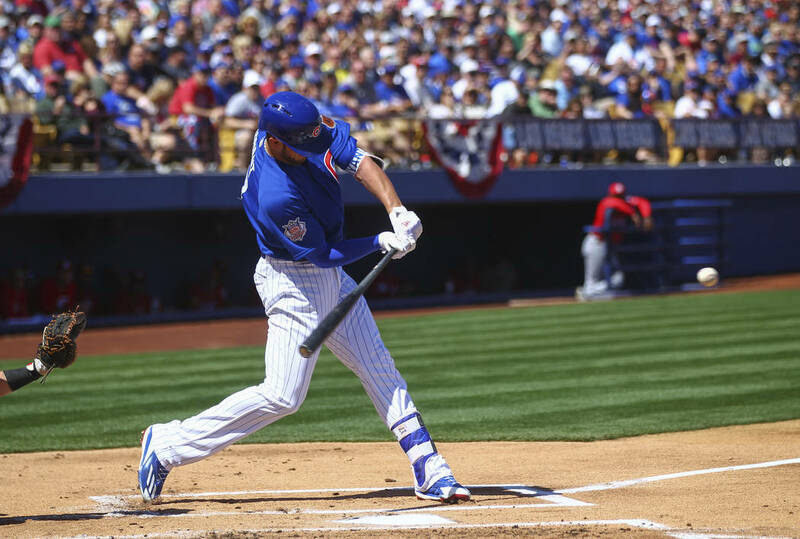 In the fifth, he homered to give the Cubs a 5-2 lead. 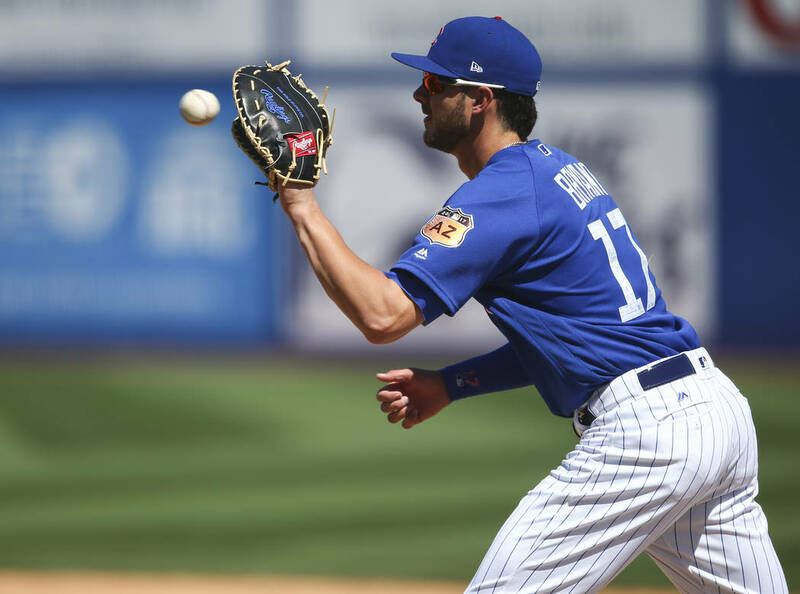 Chesny Young, Ian Happ and Victor Caratini also homered for the Cubs while Arismendy Alcantara homered for the Reds on a windy Las Vegas day. The two teams will meet again at 1:05 p.m. Sunday, with Tim Adleman on the mound for the Reds and Eddie Butler taking the ball for the Cubs. Bryant never had a hometown football or hockey team to root for growing up. But he’s recently gravitated to hockey, attending Blackhawks games in Chicago. Once the Golden Knights start, he expects to be out at T-Mobile Arena, too. 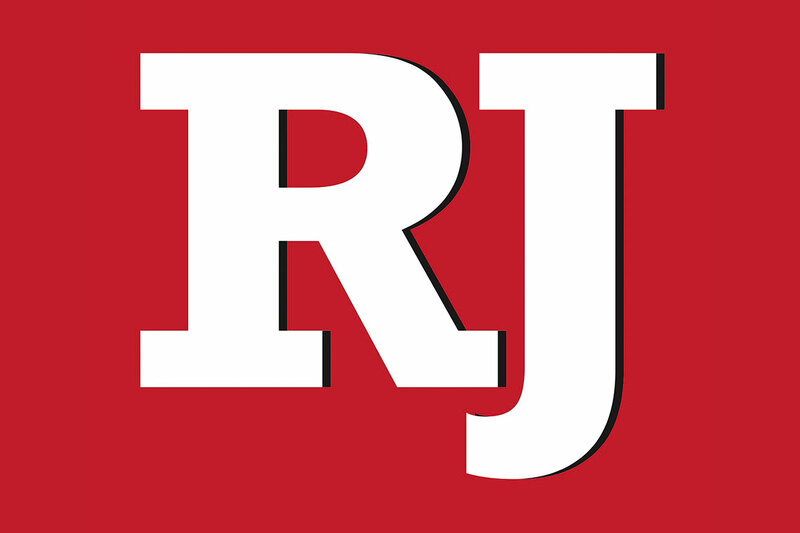 And if the Oakland Raiders move to Las Vegas, Bryant might catch a football game or two. So, is baseball next? 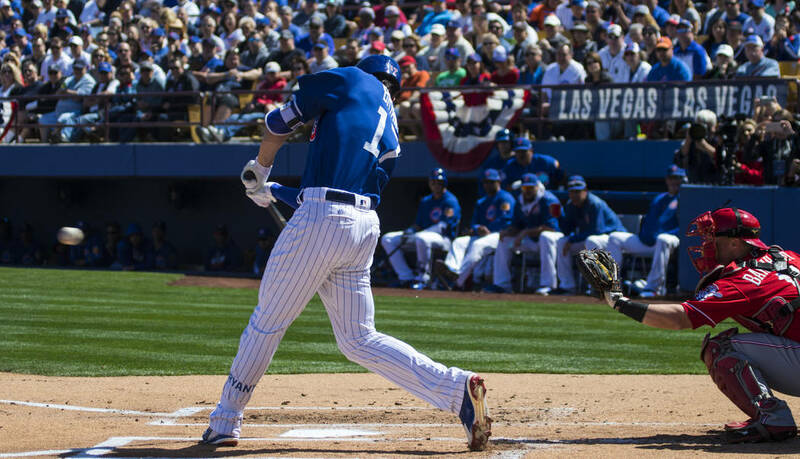 MLB commissioner Rob Manfred recently called Las Vegas a “viable market,” and it’s an idea that’s caught Bryant’s attention. The Las Vegas 51s will honor Bryant this season with a bobblehead featuring the third baseman wearing his Bonanza High School jersey. They unveiled a sneak peek of the bobblehead on Twitter on Saturday. Bobblehead night will be Aug. 19 when the 51s host the Salt Lake Bees.